Choquette, Hélène / National Film Board (NFB) et al. 52 mins - available for sale from NFB - French & English - Summary: Asian girls are enslaved in a suburban massage parlor... Domestic workers with working conditions reminiscent of slavery… Vancouver gangs recruit Honduran boys to sell drugs... Girls in a Montreal subway station are lured into prostitution... Human trafficking is still a reality today. And it’s happening closer to home than you might think. 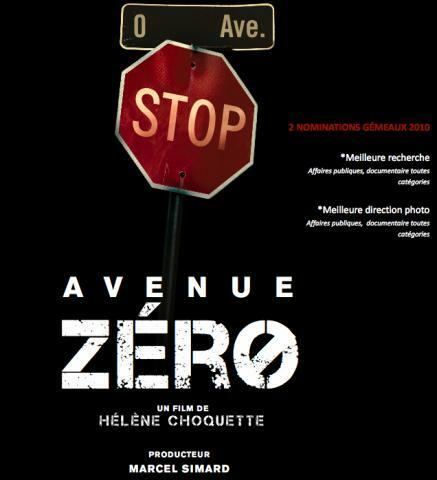 Featuring candid interviews with victims and witnesses, Avenue Zero weaves a spellbinding portrait of a dark and sinister trade flourishing in the shadows of the law.